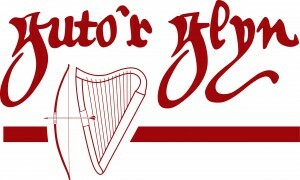 We would like to thank the staff of the Royal Commission on the Ancient and Historical Monuments of Wales for their generosity in sharing with us their knowledge of the houses of Guto’s patrons, and we particularly thank Mr Richard Suggett. We are also grateful for their permission to use various images for the project. The map that shows the homes of Guto’s patrons is based on the information obtained from the Coflein website in terms of the location of the buildings (map reference and the names of the shires). It was a pleasure to collaborate with Mr Suggett and the staff of See3D to create the animation ‘Guto in Cochwillan’. We are very grateful to the Arts and Humanities Research Council (AHRC) and to the University of Wales for their generous support for this project over five years. We have been extremely fortunate in our research partners - the National Library of Wales and the Royal Commission on the Ancient and Historical Monuments of Wales. The Library also will be hosting our website in the long term. We would also like to thank National Museum Wales for their kind permission to show images from some of their collections on our website.